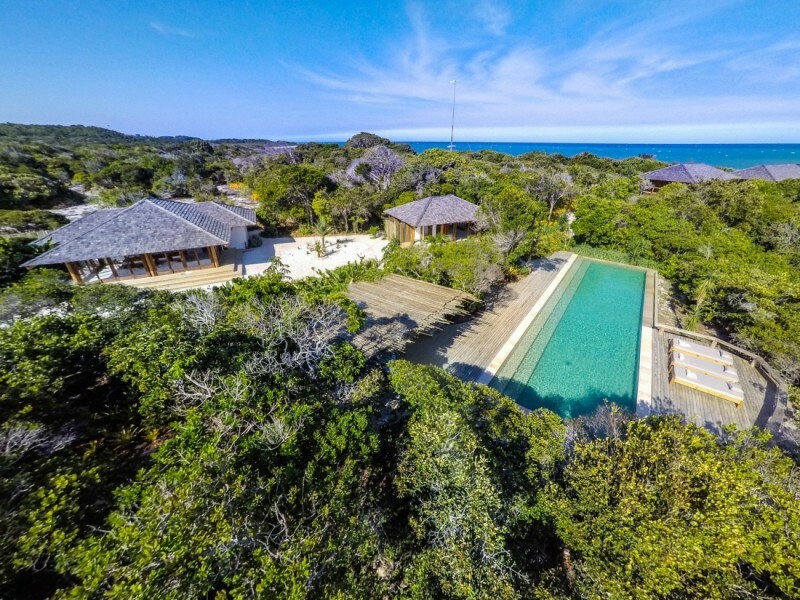 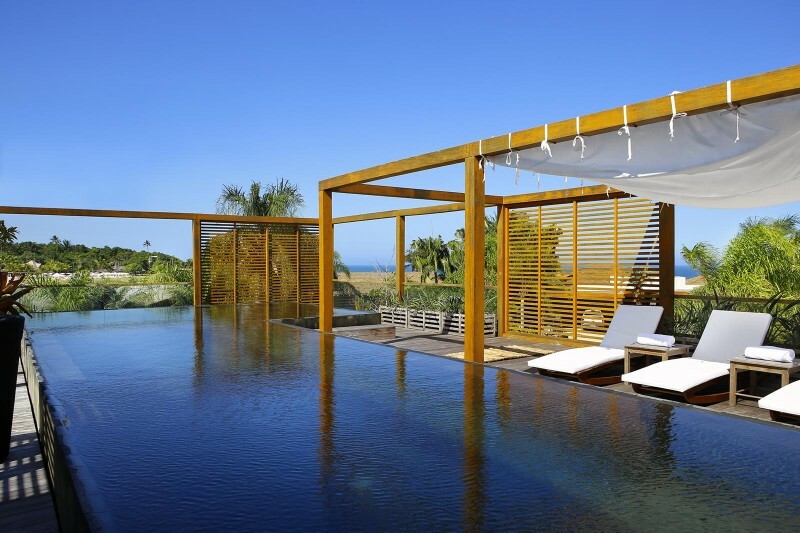 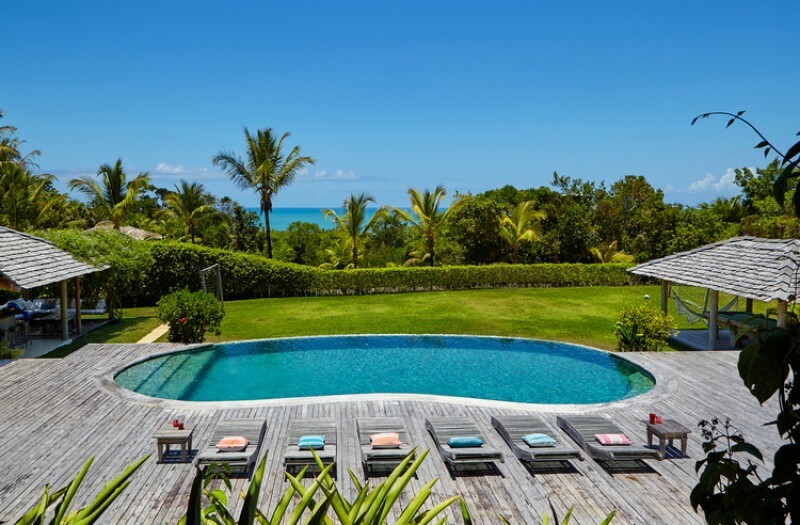 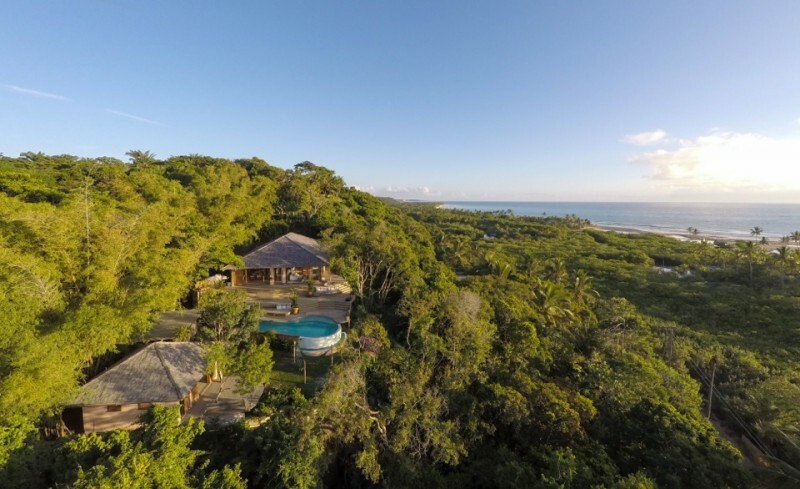 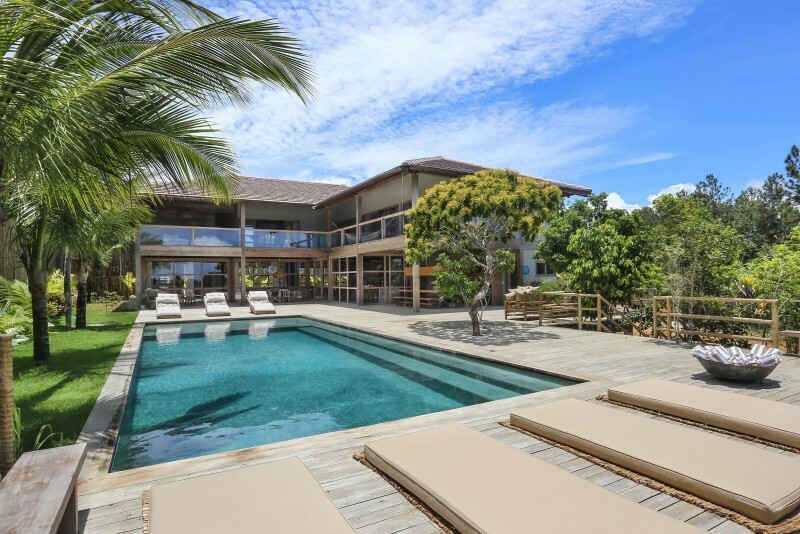 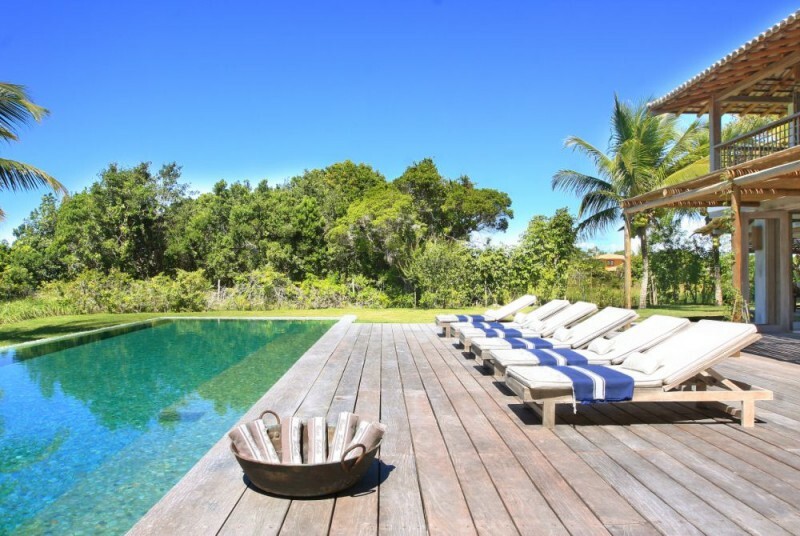 This 8611 sqft house surrounded by the exotic Atlantic forest is a perfect place to stay in Trancoso. 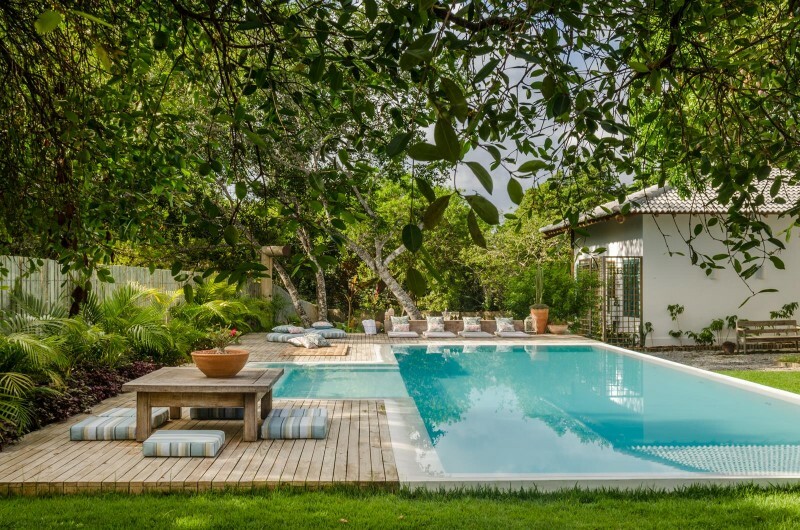 Featuring a stunning deck with a pool at the tree top level, Casa Mandarin has a breathtaking view of the ocean and a peaceful vibe. 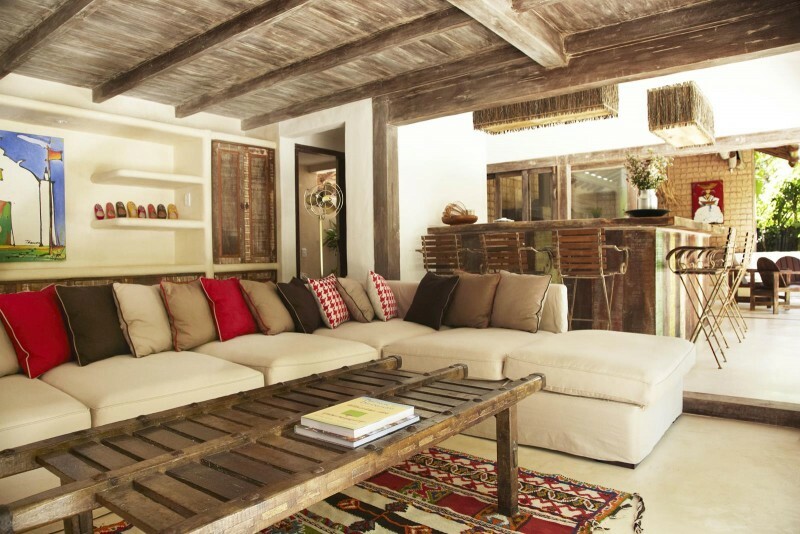 The house features a large living room integrated with the kitchen and dining room. 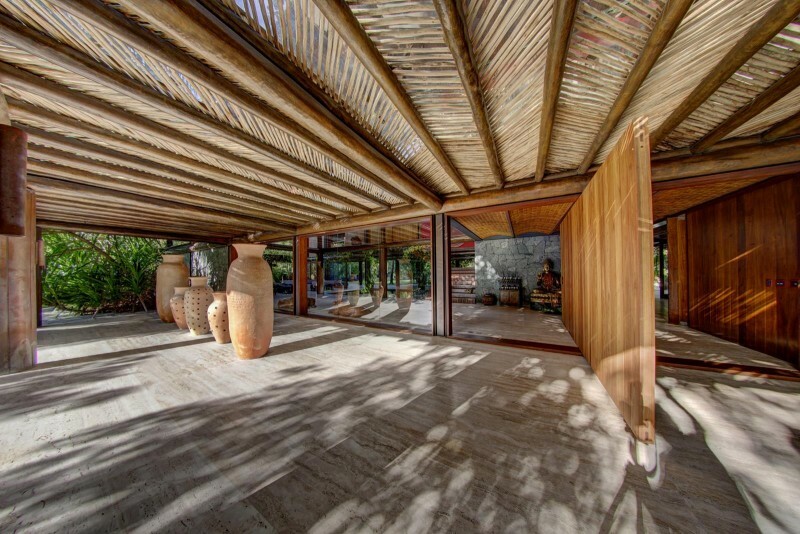 The wood structure of the house is made out of reforestation materials and allows plenty of sunlight to come inside the entire property. 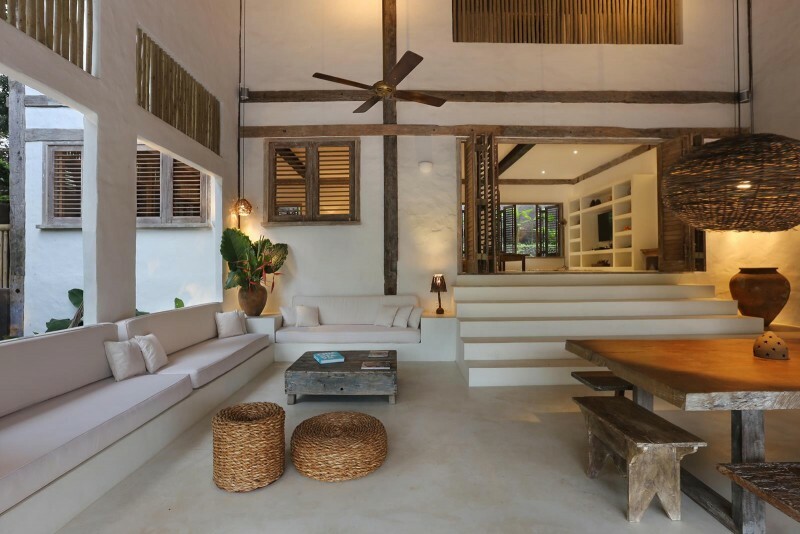 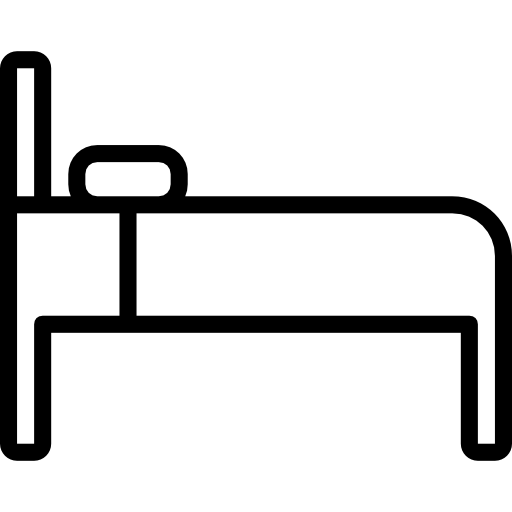 Casa Mandarin features six comfortable ensuite bedrooms decorated in neutral tones. 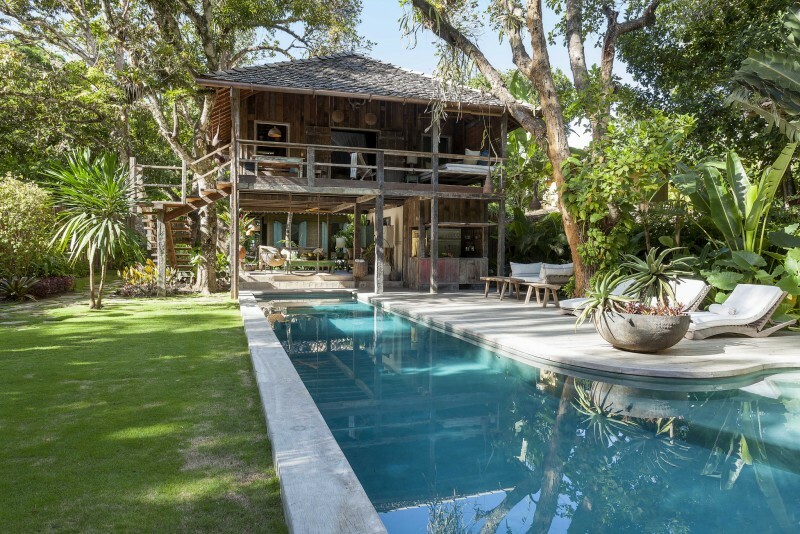 The house construction preserved the whole rainforest in the plot, green covers with automatic irrigation system. 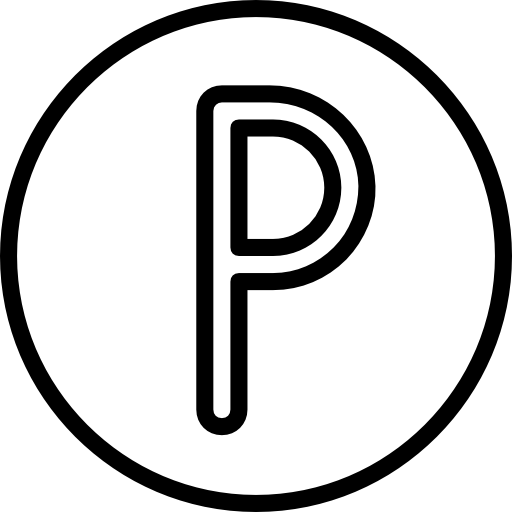 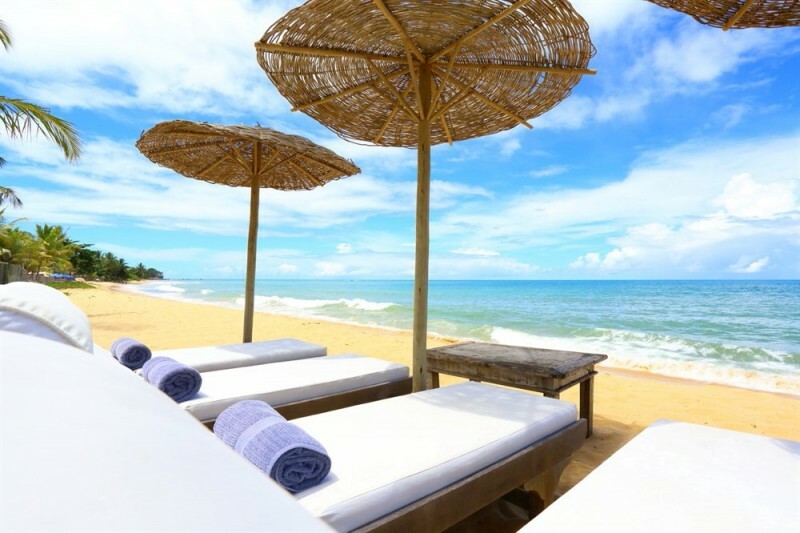 The location is also a highlight, only fifteen minutes walking distance to the beach and ten minutes walking distance to the Quadrado Square. 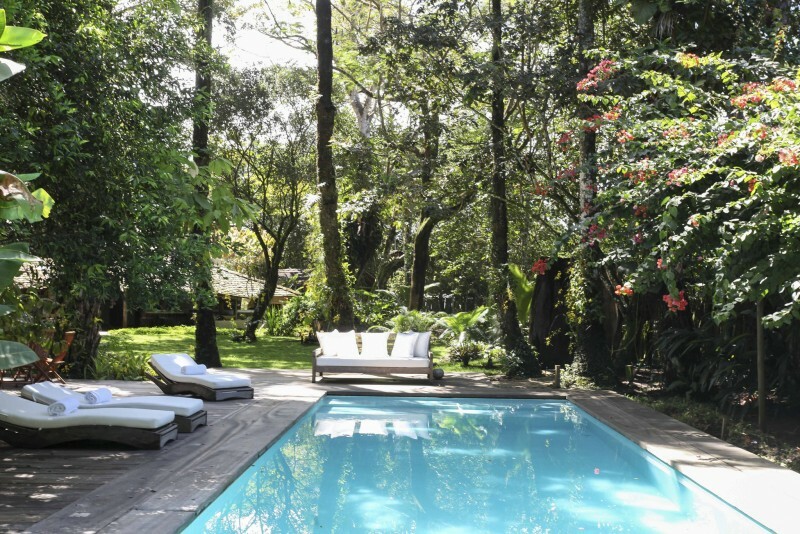 We love the unique design of the home and the fantastic pool integrated with the exotic Atlantic Forest. 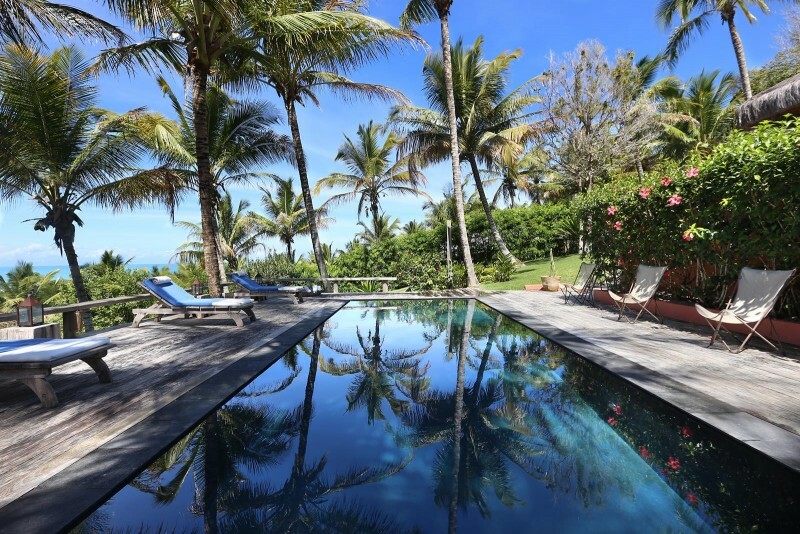 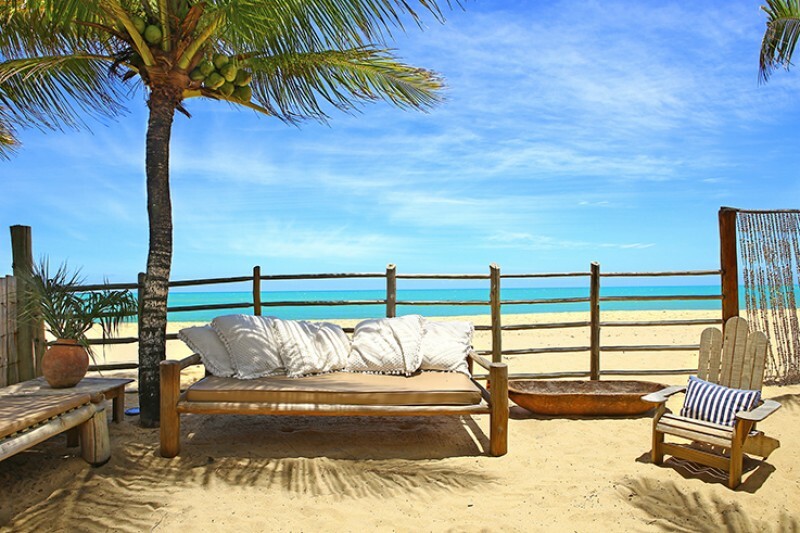 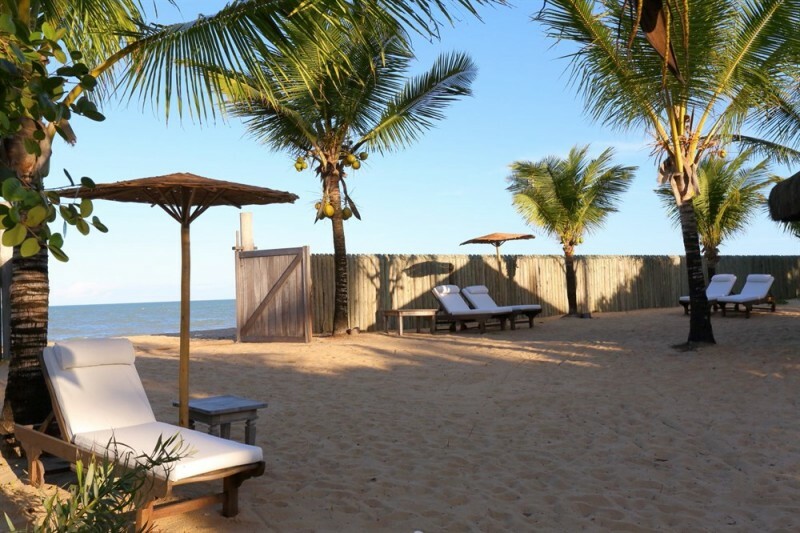 Altos de Trancoso is a charming private condominium with walking ditance acccess to the beach and 1 km away from the picturesquare Quadrado.